Russian manufacturer Yota Devices have finally announced the launch date of its new generation of dual-screen smartphone, the YotaPhone 2. The company will be holding two consecutive events in Moscow and London this evening, where more specific details will be released, according to PC Advisor. The innovative smartphone sports a regular AMOLED display on the front, and also a second e-ink display on the back, essentially giving users two touch screens to switch to as the need arises, conserving power along the way. The first iteration of the handset was not the most attractive of them all, and safe to say, never arrived in the UK properly. 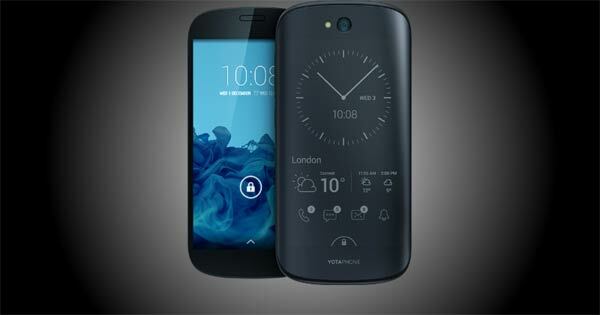 The new YotaPhone 2 however, was debuted back in March at MWC 2014 and saw much improvement on both function and design. Sporting a 5-inch 1080p front display along with a 4.7-inch e-paper on the back, both protected by Gorilla Glass, the device has a 2.2GHz quad-core Qualcomm Snapdragon 800 CPU, 2GB of RAM, 32GB of storage, a 2,500 mAh battery with Qi wireless charging support. Connectivity includes LTE (Cat. 4, 150Mbps downlink), Wi-Fi a/b/g/n/ac, Bluetooth 4.0, NFC, A-GPS + GLONASS and microUSB 2.0 with SlimPort. The camera would be slightly disappointing for some, with the main shooter only an 8MP with flash and the 2.1MP selfie camera just decent enough for video chat. It also only runs Android 4.4.3 out of the box. The specs may seem a bit out of date, resembling what could be found in a late 2013 or early 2014 flagship, but seen as it was first announced back at the start of the year, this was probably not too surprising. The main focus of the device remains to be placed on the secondary screen, which can be customised and also gives the phone a battery life of up to 5 days when in “read” mode. Furthermore, Yota has provided the SDK to app developers so they can take advantage of the always on e-ink display. “The typical user picks up and activates their smartphone more than 150 times a day. Why? Because users worry that messages or information they need or want are hidden behind their phone’s black screen,” said Vlad Martynov, chief executive of Yota Devices. The handset will start rolling out in Europe this week, with 20 markets targeted before the year’s end. It will be priced at 495 Euro (around the £400 mark), according to Android Police. The company is also planning releases in Asia-Pacific, Canada and Latin America in early 2015 and beyond. Unfortunately there are no talks of an official US release, but the handset is said to become available in the UK later today. 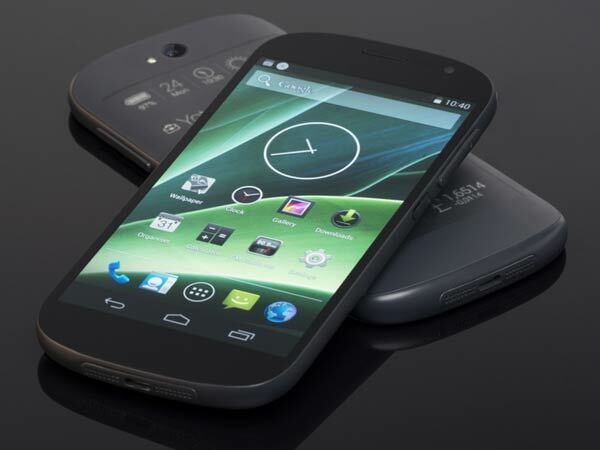 The original YotaPhone is available right now for £319.